The scratchings of Tel: Commission & Chris Wahl's Brushes ! Part of a new commission, a speedway driver, nothing particularly different about that, I do a lot of them. What is different is I used new brushes. I regularly check on the Blog's of fellow caricaturists and 'earwig' anything new. 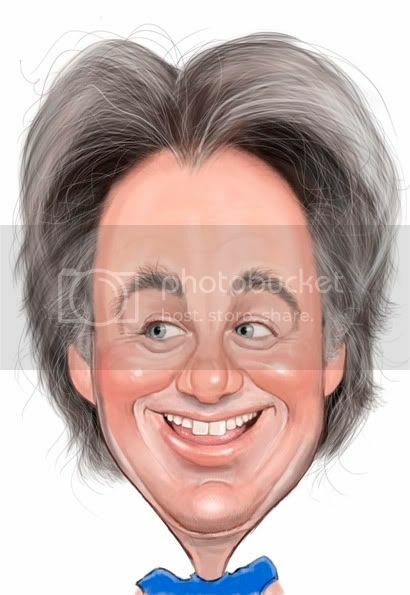 Well the above caricature was the result using Chris's 'paint texture 6' and 'Hair 1'. The hair brush in particular makes a lovely job. If you're a Photoshopper they're HERE - enjoy ! !